The Digital Photography Café was created by Trevor Current from CurrentPhotographer.com and Joseph Cristina from Alluremm.com. They have come together to create an inspiring, educational and entertaining podcast about the art and business of photography. Each week Trevor and Joe get together to talk about the creative side of photography and the tools you need to succeed in business. Our topics are varied and everyone from beginner through professional will find some useful information to help grow their skills as photographers. Trevor Current – I graduated from art school in 1990 and started my career in graphic design and photography working in a small mom and pop ad agency as their one man art department. It was a fantastic opportunity to get my feet wet doing some great high-tech B2B work. After a few years I moved on to a much larger studio who’s clients were Fortune 100 consumer product companies and got to try my hand at something totally different. Within a few years I was promoted to Art Director and was working with companies like Sony Electronics and M&M Mars producing work for national ad campaigns, packaging, collateral and tradeshow exhibits. In addition to design and photography I also work as a digital marketing strategist to build corporate, product and personal brand identities for my clients. 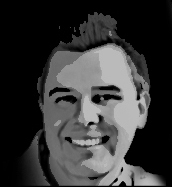 I love technology and am constantly learning about the latest tools and techniques and how they may be of benefit in solving their marketing objectives. For a short time I also taught Adobe Photoshop, Illustrator and Mac computing to students looking to break into the fields of photography and design. I really loved helping them learn the tools they needed to start a great new career. After 17 years with my previous company it was time for another change. I wanted to combine my love of design, photography, digital marketing and teaching into something that could help other people achieve their dreams, so I created CurrentPhotographer.com. With the help of over 15 regular contributors and many great guest bloggers, we’ve been able to turn my little pet project into one of the most popular photography resource sites on the web in a little over a year. At last look, we have readers from over 140 countries around the world and have built a great community of photographers. 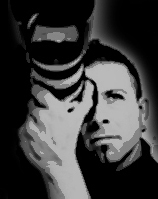 You can connect with me on Twitter and Facebook and be sure to stop by CurrentPhotographer.com to check out all of our information and resources for photographers from beginner through professional. Joseph Cristina – Joseph began studying in the visual arts at the age of 8 under his mentor, Marsha Nardini,, an incredible commercial mural painter and installation artists with studios in New York City. She passed along practical, creative and intuitive knowledge which has greatly influenced his career. His reverence continues many years after her passing. Photographically his 1st experience was in senior high with a beautiful c.1974 metal body 35mm which is still used for some of his fine art commissions. He continued his formal education at Broward Community College, Florida Atlantic University and the Art Institute of Fort Lauderdale in the early 90’s. His first job in the industry was with an advertising agency doing magazine paste-up and layout. His career path deviated from the arts to the computer software industry when the opportunity arose to start his own business. While lucrative, this move stifled his creativity and motivated him to become a freelance photographer. As that business grew it gave him the ability to change career focus back to the arts and lead to the creation of his photography and multimedia studio, Allure Multimedia. In addition to running a successful studio he was bestowed the great honor of having his fine-art photography commissioned and displayed by the Venetian Art Society. He continues to educate tens of thousands of fellow photographers worldwide as the co-host of the popular internet TV and radio show The Digital Photography Cafe, with weekly discussions focusing on the art, business and current trends in photography. 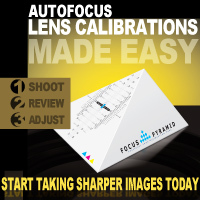 Joseph is the inventor of the patent pending Focus Pyramid, an auto-focus lens calibration tool used by many photo and video professionals around the world. He continues to give back to the creative community by authoring educational eBooks and videos, and creating software to assist professionals in the creative industry. From his roots in fine art and design to his many years of photographic experience, Joseph’s day-to-day collaborations producing content that moves and inspires continues to be a rewarding experience. You can connect with me on Twitter and Facebook and be sure to stop by alluremm.com to review my portfolio, commission art or simply say hello!